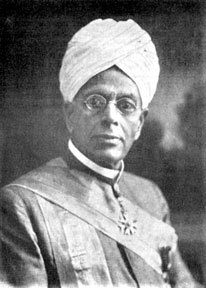 Sir Ponnambalam Ramanathan was born in 1851, to a noble and illustrious Tamil family already highly distinguished in public service. In fact, he qualified as an Advocate at the age of 22, practised the law with considerable distinction and entered the Legislative Council at the age of 28 as the member nominated to represent the Tamil community in succession to his uncle Sir Muthucoomarswamy. As a legislator he achieved great deal. In 1880, he moved that a Post Office Savings Bank be established. Buddhists, as a national sect owe Sir Ponnambalam Ramanathan a deep debt of gratitude. His interest in the question of the Vesak holiday and the Buddhist Temporalities Bill, his encouraging words to the Buddhist students of the Pali College and Theosophical Society and a host of other services to Buddhism have endeared him immensely to the Buddhists of Ceylon. Further, he did much for the Hindus. He had the Ponnambalavaneshwarar temple in Colombo, originally built and endowed by his father Ponnambala Mudaliyar, renovated and rebuilt by granite. He founded the Ramanathan College for girls and the Parameswara College for boys in Jaffna. He was the President of the Thiruvalluvar Maha Sabai in Madras, a leading Tamil cultural body of that time. He was considered the father of the Hindu Board of Education. His work in the field of legal education was also outstanding. It was Sir Ponnambalam Ramanathan who was instrumental in re-organizing the entire scheme of legal education in 1888. He was the Solicitor-General of Ceylon for 14 years during which time he had to leave the legislature. It is said that the government of the day was anxious to have him out of the Council. He returned later as the Representative of the Educated Ceylonese. In 1904, he translated the Bhagavad Gita from Sanskrit into Tamil. In 1906, another work, ‘The Culture of the Soul among Western Nations’ was published in New York. His work on the establishment of a national university was widely acknowledged. A hall of residence at the Peradeniya campus was named after him. He was always in the vanguard of the great movements of the day - for constitutional, legislative, educational, social, political reform. “All villages are mine, all human beings are my relatives. Good and bad are the outcome of our own actions and not of others. Wrath and calmness too are of similar nature. Death is not a new phenomenon. Neither are we captivated by life nor do we reject it as miserable. It is our understanding from the wise men of yore, that like the boat which travels across a dashing river, our lives will certainly reach their destination for sure. This poem had taught us and certainly Sir Ponnambalam Ramanathan too, not to be daunted by the ephemeral incidents of life. The Bagavad Gita ideal of absolute detachment in action or disinterested devotion to duty appealed to Sir Ponnambalam Ramanathan. He called such ideal as Mother India’s most precious gift to us. It was a gift accepted gratefully by Sir Ponnambalam Ramanathan. He shared by his illustrious life, how men in the midst of storm and stress of worldly life could achieve the full and perfect development of his personality. Further, Sir Ponnambalam Ramanathan shared throughout his life, at every turn, courage of the highest order - indomitable courage in the face of daunting odds and overwhelming obstacles. These qualities were never displayed by him more vividly than in his defence of the Sinhala people after the riots of 1915. In fact, he was the champion of the Sinhala people. It was in the legislature that Sir Ramanathan rendered the greatest service to his country. On him fell the burden of defending the people of the country against the British government. He delivered a series of six memorable and passionate speeches, each one a feat of oratorical endurance, denouncing the ill-considered and highhanded measures taken by the government to suppress the riots and the tyrannical and oppressive conduct of its officers. Indeed, it was a perilous time. But, Sir Ramanathan laid the whole blame for the outbreak of the riots and their subsequent spread, fairly and squarely at the door of the government. The British rulers were really the guilty ones, he argued. They were the villains of the piece not the people. Had the Government Agent of Kandy, having granted the Esala procession a licence to pass the mosque after midnight, taken the rudimentary precaution of providing sufficient safeguards against a possible breach of peace in view of the hostile attitude of the Muslims the Muslims would not have acted so lawlessly or so high handedly as they had done. When once the riots broke out, Sir Ponnamabalam Ramanathan argued, had the Government Agent and the Police taken prompt action to nip them in the bud, had the Government Agent granted the Sinhalese and Muslim leaders the audience they so eagerly sought, and taken them into confidence, had he addressed words of encouragement to the panic stricken crowd, and given them an assurance, as was his duty by them, that everything possible would have been done to end the riots, and bring the offenders to book, the riots would never have spread to five provinces or wrought so much havoc. In his speech Sir Ponnambalam Ramanathan emphasized his point that it was the inefficiency and passivity of the Police coupled with the lethargic and weakened attitude of the Government Agent that gave a free rein to the passions of the rioters. Further, Sir Ponnambalam’s second speech was a passionate plea for ending the horrors of Martial Law and the operation of Military Courts and for restoring the jurisdiction of the ordinary courts of justice. Indeed, there was nothing Sir Ponnambalam Ramanathan did which he did not dignify, there was no position he held, which he did not adorn, there was no cause he espoused which he did not ennoble. In fact, he was a statesman and sage, scholar, jurist, author, philosopher and a man of religion, patriot, philanthropist, educational reformer and benefactor, idol of the nation, his versatility was astounding. Undoubtedly, his life had a sweep of breathtaking majesty.